On the eve of Oculus Rift “officially” becoming a consumer product and opening preorders to the general public, it’s almost hard to remember that virtual reality was once a mere Kickstarter project—complete with a flashy video and bouncing synth soundtrack. Yes, some people watched that video and thought, “This seems like a good project to back.” Some of those people (approximately 7,500 of them) threw in $275-plus to get a Rift developer kit (retroactively called DK1). If you were one of those 7,500 who put your faith in young, flip-flop-clad Palmer Luckey and backed the original DK1, Oculus is going to give thanks—with free hardware. No need for you to wake up early tomorrow morning to try and preorder. All 7,500 of those Kickstarter backers who received a DK1 will get a special “Kickstarter Edition” version of the consumer Rift hardware shipped to them for free. Oculus will be sending out emails to all backers asking for their shipping address, and promises these will be some of the first consumer Rifts sent out. Note: This only applies to Kickstarter backers. 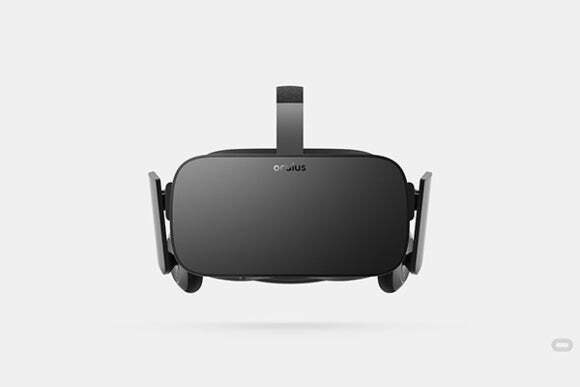 Anyone who purchased either a DK1 or DK2 through Oculus’s site later on? No freebies. You’ll need to wake up tomorrow morning and preorder (or not) like everyone else.